When Western Australia was granted responsible government, the British Colonial Secretary refused to hand over control of Aboriginal affairs because of the colony's poor reputation in its treatment of Aborigines. Since colonisation had begun in 1829, some colonists and their descendants had murdered, mistreated and exploited Western Australia's Aboriginal communities for their own gain. Towards the end of the nineteenth century, the colonial government introduced a range of new discriminatory measures to control its Aboriginal and 'half-caste' populations. More than half of the Aboriginal population of the south was of mixed descent at the turn of the century. Laws were introduced to control their movements, and their ability to work and to associate freely. These laws also applied to northern Aboriginal people employed in the pastoral industry. The 'half-caste' population of the south was systematically excluded from white society. The 1886 Aborigines Protection Act deemed 'half-castes' living with Aborigines to be 'natives', while the 1893 amendment to the Constitutional Act denied all Aborigines the franchise unless they owned a freehold estate valued at 50 pounds, effectively preventing nearly all indigenous people from voting. Stories of exploitation had reached Britain causing outrage among social reformers. As a result the Constitution granted to Western Australia in 1890 by Great Britain specified a minimum of 5000 pounds or 1% of the colonial gross revenue, whichever was greater, be given over to provide for Aborigines in the colony. This imposition caused much resentment among colonists and for nearly ten years John Forrest led a campaign against British control of the local Aboriginal population. 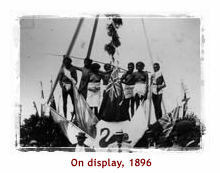 He finally succeeded in 1897 when the Aborigines Act (Imperial) repealed the financial provision and transferred Aboriginal affairs to the Western Australian Government. Western Australian Aborigines entered the new Commonwealth of Australia as aliens in their own land. Their many contributions to the white exploration and exploitation of the hinterland were not acknowledged. The measures taken by the Western Australian Government over the next thirty years, flowing from the 1905 Aborigines Act, gave unprecedented power over Aboriginal people to the Chief Protector. 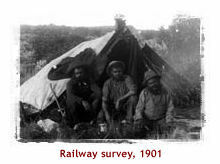 The freedom for Aboriginal people to work and live where they wished was curtailed. 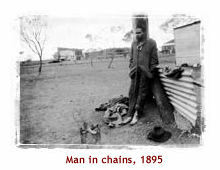 The forced separation of many children from their Aboriginal families, and the systematic exclusion of Aborigines from white society through segregation had drastic consequences for Aboriginal people. It was little comfort to Aboriginal Western Australia that most Western Australians believed the government and Christian missions carried out these measures against Aborigines for their own good.